Are your tyres loosing their tread? This month we have tyres on offer by quality brands Goodyear, Continental, Bridgestone, Pirelli and BFGoodrich! Get your 15% discount for these tyres at any participating Autoworld branch or Impala Filling Station. Discount available for one week only. 8th March 2019 was International Women’s Day, and Autoworld participated in the March Past. Team Autoworld were looking sharp in smart co-ordinated chitenge outfits. Vice President Inonge Wina, Zambia’s first woman Vice President, was the honoured guest. 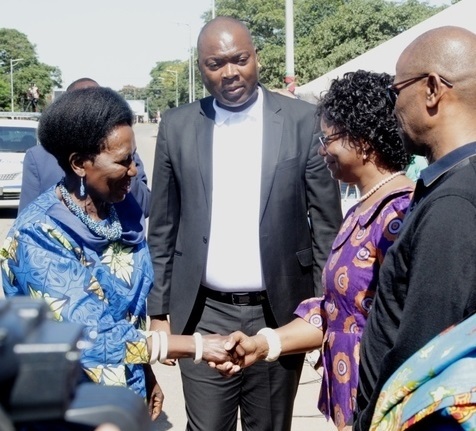 She encouraged the women of Zambia to be vibrant and innovative as the country is now being moved by women in many leadership roles and other walks of life. The theme for International Women’s Day in Zambia was “Think equal. Build smart. Innovate for change”. 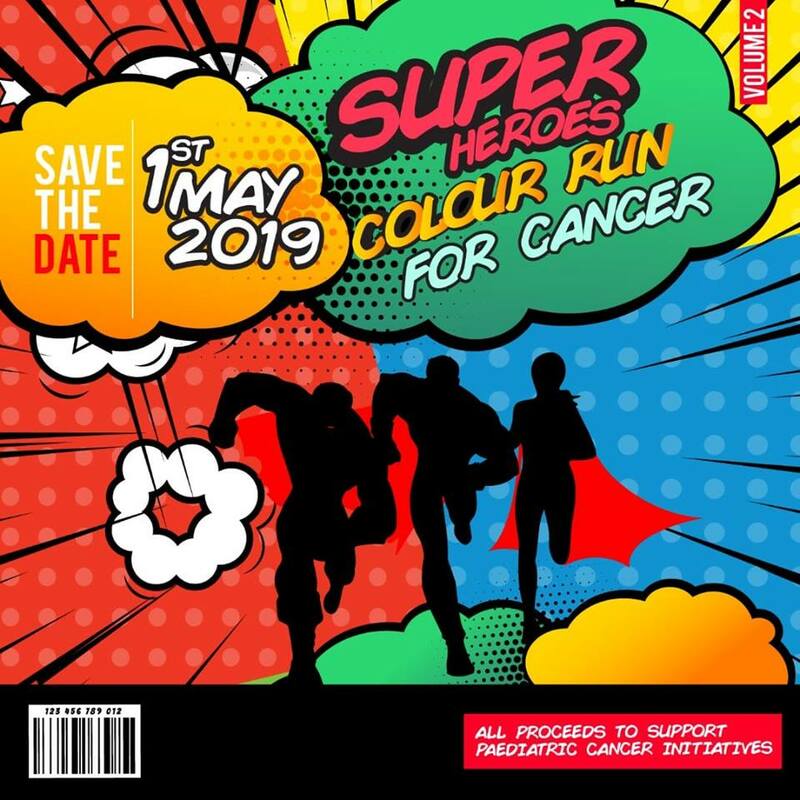 The 2019 ISL ‘Super Heroes’ Colour Race for Cancer will take place on May 1st 2019. 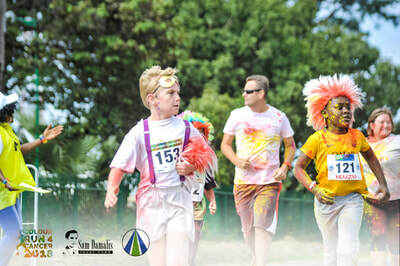 This 5km fun run / walk starts and finishes at the sports field at ISL (International School of Lusaka). More avid runners can do the loop twice; and there is a shorter 2.5 km loop for younger children. Come and run or walk, bring the children and make it a family day! There will be live entertainment, food and drinks and activities for the children. This race is organised by ISL in conjunction with the Sam Damalis Trust Fund. To register, click here and complete the details. It costs just ZMW150 per person. Tell me about the ‘Colour’ theme? And the ‘Super Heroes’ theme? Everyone is free to interpret these themes in their own way - whatever they’re comfortable with, however they want to express themselves - through costume, wig, face paint, body paint … the choice is yours. This year (2019) Autoworld is partnering with the organisers of the race through sponsorship. What happens to the funds raised? All funds raised are dedicated to helping children battling cancer in Zambia. The organisers work closely with the Paediatric Cancer Ward at UTH. Over the last 8 years, this initiative has raised funds towards medication, specialised diagnostic tests, supplemented nursing staff salaries, equipment for kitchen for carers to use, monthly supply of chlorine, creating a play area for the children, given additional assistance to Kayula Home, assistance to Twende Learning Centre and, from the beginning of 2018, a weekly supply of clean drinking water to the ward. Find more details here. 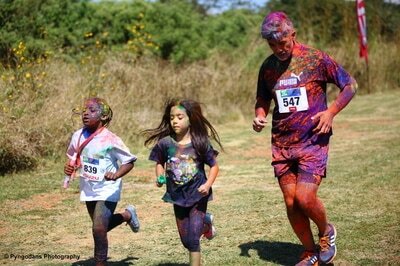 International School of Lusaka has been running the Colour Run for the last 5 years. Last year the Sam Damalis Trust Fund joined forces and together they hosted the very first Colour Run for Cancer in June 2018. 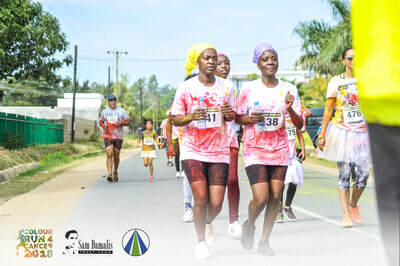 Attended by 650 runners, including many children, the 2018 event raised ZMW 85 000. After consultation with the doctors from the UTH paediatric cancer ward, the money was spent on some refurbishments to ensure privacy for the patients in the high care ward, an industrial floor cleaner, air conditioning for the classroom in the ward and a contribution towards the teacher’s salary. Each week they provide 16 x 20 litre bottles of water to the ward and each month a 50kg drum of chlorine. 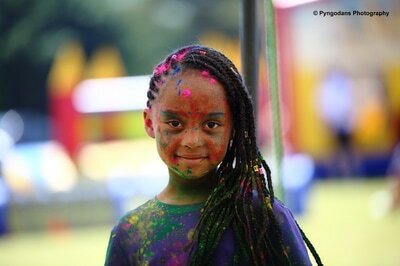 For more photos, see the ISL Colour Race for Cancer Facebook page. What better time to get stocked up? This month Autoworld has a 15% offer on repair kits from Holts, brake pads from Safeline and filters from brand leaders GUD. Keep your vehicle in good shape. With a little help from Autoworld, your local parts specialists. Does your car need a boost? 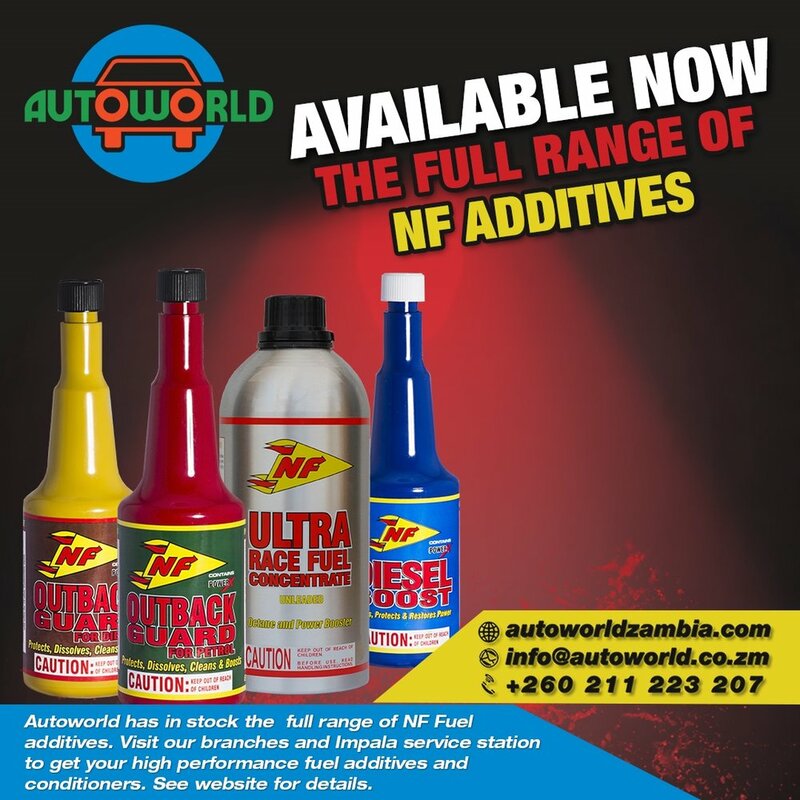 Enjoy enhanced performance with NF fuel additives from Autoworld. Choose from Outback Guard for Petrol, Outback Guard for Diesel, Ultra Race Fuel Concentrate, and Diesel Boost! Check the NF website for full information on each product line, general information about Octane boosters, and FAQs. February is the month of romance. Love your car with an oil change!! What better time than now, with Autoworld’s 15% discount off all Castrol lubricants - running for one week only. Get the kids to school on time with a brand new car battery! A car battery lasts 3 to 5 years. Yours may need replacing. And now’s the time. We’re currently offering a 15% discount off all Willard and Raylite batteries - for one week only. Buy a new battery today from your nearest Autoworld branch - for a sharp start to the day. Joseph Mulenga has been a security guard at Autoworld for the last 10 years. He retired last month and was presented with parting gifts from Autoworld staff members. Everyone knows him as “Zemule”. For many years Mr Mulenga has been part of Autoworld life, watching over the vehicles and outside premises, and helping around the fitment center with various jobs. He has always been helpful to members of staff; and on his retirement, some of the Autoworld team had the idea of buying him a Christmas present to say thank you. This was all in the spirit of giving around this festive season. The gifts were presented on Dec 24 2018, Christmas Eve. Joseph is a man of few words but we were happy to put a smile on his face. He did not expect this and it was a wonderful surprise for him. His present included a monetary gift and a Christmas hamper of assorted items. Joseph Mulenga is a family man with five children and four grandchildren. He managed to build a house before he retired. We all wished him well at the presentation and urged him to continue to support his family. 1st May is Labour Day, which is renowned internationally. In Zambia our theme for this year was ‘Building Partnerships for Sustainable National Development Through Job Creation and Social Justice’. With jobs having become so scarce, especially for the youth, this theme was very timely. The Guest of honour was H.E. President Edgar Lungu who took the salute from the enthusiastic marching workers. Autoworld had two employees awarded prizes - Ms Ruth Sakala , from Head Office, for honesty; and Mr Isilimwe Mulambwa of Ndola branch, also for honesty. In addition, Autoworld won a trophy for coming second in the Float Category for the display on the Autoworld speed boat. Congratulations to everyone involved! Calling all truckers and bus companies in Zambia. 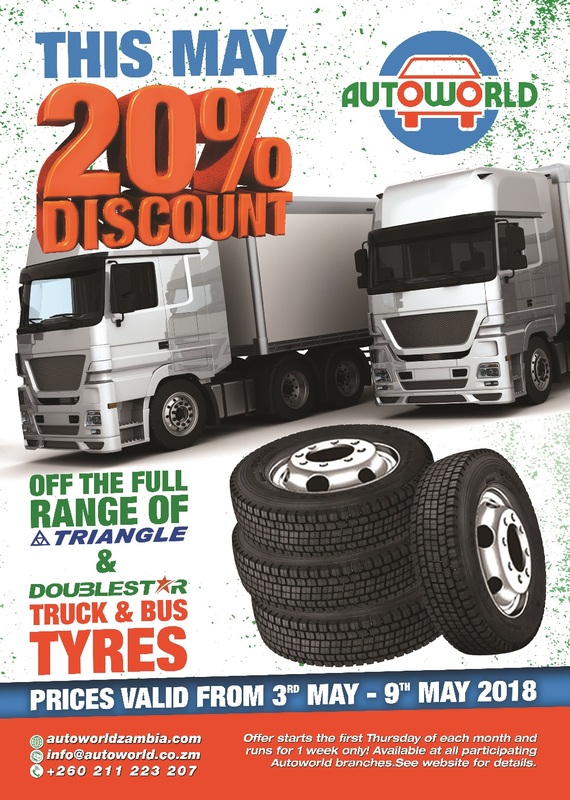 A massive 20% off all Triangle and Doublestar tyres while stocks last. Tyre treads help keep your tyres inflated. Low pressure tyres can’t grip the road as well, making it harder to steer the vehicle, harder to brake, and increasing fuel costs. What better time than now to replace fleet vehicle tyres - with this amazing 20% discount offer from Autoworld! Calling all motorists in Zambia. A study was carried out by the National Highway Traffic Safety Administration in the US. They found that over 26% of the crashes studied involved vehicles with insufficient tread i.e. with worn out tyres*. Tyre treads help keep your tyres at the right pressure. Under-inflated tyres can’t grip the road properly even in dry conditions, making it harder to steer your vehicle and harder to brake, and reducing fuel mileage (increasing your fuel costs). 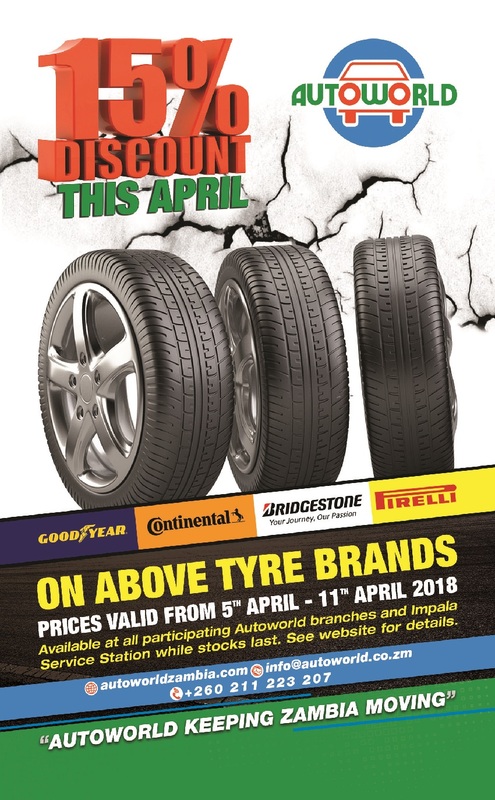 What better time than now to replace your tyres - with an amazing 15% discount offer from Autoworld! Great reductions on generators this March! 15% discount on all Ecogen and Yamabisi models. A good time to replace your old back-up generator or improve your out-of-town experience. And this month's offer is for two whole weeks - 5th March through 19th March 2018! Available at all participating Autoworld branches and impala Service Station while stocks last. Never miss an offer - sign up to our monthly newsletter. Announcing an exclusive automated wheel balancing service! Autoworld is now the proud owner of a John Bean B800P Wheel Balancer at its Impala Service Station. Autoworld’s new John Bean B800P wheel balancer at Impala Service Station offers automatic data entry and rim profiling. The B800P speeds up the training of new technicians and reduces the time it takes to change a tyre and balance the wheels. The touchscreen interface makes it easy for technicians to check the results. And when the operator touches the imbalance amount, the wheel automatically turns to the correct position for weight placement! This convenient device has commonly used modes such as spoke detection, match mount and manual mode. Measurement results and weight position indicators are clearly visible. It takes about 8 seconds for the B800P to identify the optimal location of any imbalance and identify the best location for the clip-on weight. The wheel is electro-mechanically clamped for increased accuracy. A laser beam pinpoints the positioning of weights in the lower rim position (the B800P's exclusive easyWEIGHT facility). John Bean B340P wheel balancers are now installed in all other Autoworld branches in Lusaka. 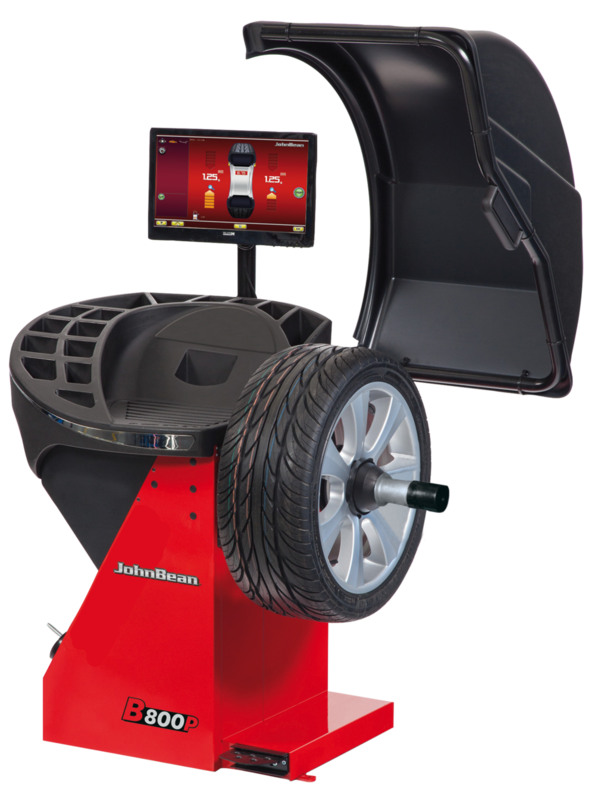 For wheel alignment, Autoworld uses a 3D car wheel aligner that also comes from market leaders John Bean. This is the Visualiner 3D Lite Lift. Whenever you buy tyres from any Autworld outlet, you’ll get free fitting and a free wheel balancing service (on a John Bean B340P wheel balancer). Nitrogen air is available for pumping into your tyres (at Impala Service Station only). By inflating your tyres with high purity nitrogen, they will remain at their proper operating pressure much longer. For auto repair shops, Autoworld sells John Bean B100 model wheel balancers, as well as John Bean Visualiner 3D Lite Lift wheel aligners. 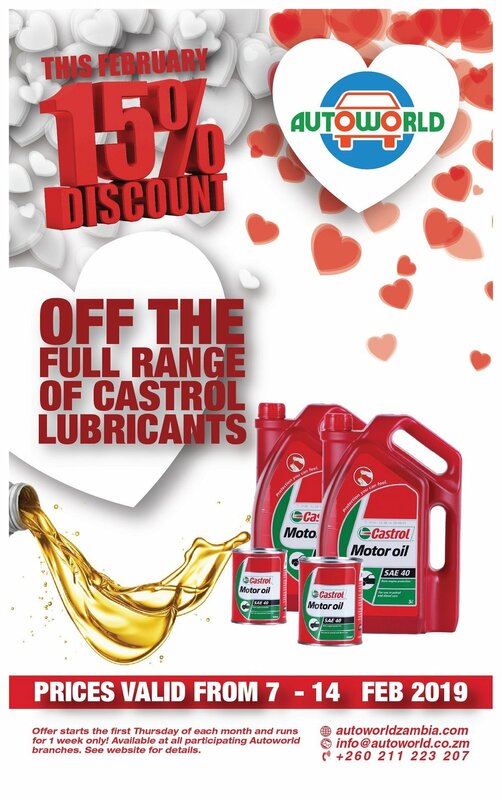 Don't let your car miss out on the love :) Autoworld is offering a 15% discount on all Castrol lubricants this Valentine's season. Our first offer of 2018 is on the full range of GUD filters. GUD, South Africa's premium automotive filter brand, is renowned for its commitment to quality, service and product innovation. In short 'GUD' = 'good'! Take advantage of this generous 15% discount. Give your car a great start to the new year by changing the oil, air and fuel filters. This offer is available at all participating Autoworld branches and Impala Service Station while stocks last - for just one week from Jan 4th to Jan 11th 2018. As a Christmas gift to you, our esteemed customers, we're offering a 15% discount on all parts, tyres and batteries! Yes you read it right. A 15% discount on ALL parts, tyres and batteries. And it's not for just a week. Because it's the season of goodwill, we're stretching this offer to a full two weeks - from Dec 7th to Dec 21st 2017. Battery terminals - what's the big deal? Battery terminals are part of your car’s charging system. The power from the battery flows through the terminals on its way to the starter and alternator. Any electrical system is as good as its weakest link. Without a smooth strong terminal contact connecting the battery to the charging cables, the car won’t start well, or maybe not at all. In addition poor performing terminals will prevent the battery from getting recharged by the running engine. It’s easier and less expensive to replace the terminals and have the terminal posts cleaned than it is to buy a new battery. In addition, if terminals are not replaced on time, other serious problems may come up such as blown fuses and even possibly fire. Once you get new terminals, do make sure they are cleaned regularly. This will extend battery life while preventing the inconvenience of getting stranded unexpectedly because of a dead car battery. The big deal is that Autoworld currently has a fantastic offer on battery terminals - buy a new Raylite, Hifase or Willard battery and get a free set of brass battery terminals. This will not only ensure your car is safe, but also that your new battery has a good connection to give you better performance! The rains will be on us shortly. If your company has a fleet of vehicles, make sure engines are fully protected from potential contaminants - like water - by replacing the filters. Now is the time ... because this month there's a massive 15% off all GUD filters!! Offer runs from Thursday Nov 2nd to Wed Nov 8th. The 2017 Elephant Charge took place last weekend Oct 13th-15th. The charge was in a beautiful location along the Lutente River. The Autoworld team did well with fund raising and came out second place with USD17,000! The winning team Khal Amazi raised over USD22,500. In total over USD111,000 was raised which is a great big pat on the back to all the teams! Unfortunately we gave the car another beating with the rough terrain and the radiator gave in with just two more checkpoints to go! That was game over for us! However on a positive note we won first place in the Gauntlet (for the third time). This is recognised as the most technical challenge of the whole course. We are now back to the drawing board and looking at a new strategy for 2018! Team Autoworld has entered seven Elephant Charges since 2010, completing the course four times and raising $128,343 for conservation in Zambia. The team's best leg was the Elephant Charge 2011 when they charged from Tyre King to Verino in 3.18km, 270m or 1.09 times over the straight line distance of 2.91km. They were 1st place out of 17 teams on this leg. 28 entries raised $111,138 for conservation in Zambia. The Spirit of the Charge was won by The Bushpigs for their selfless conduct during and after the charge; the Properly Shafted award was won by Khal Amazi; and the award for the best checkpoint was given to Gospel Central. See the Elephant Charge website for full details. Last but not least, ZNBC has made a great documentary of this year’s event. Watch out for it on the air over the next few days and weeks. ’Straight Forward’ is the motto!